ISO is the International Organisation of Standardisation, a governing body that develops and publish International Standards such as ISO 9001, ISO 14001 and ISO 45001. What is the ISO Certification Process? The ISO Certification Process explained by Ireland’s leading ISO consultancy firm. Hassle free, 100% Success Rate. Your ISO certification journey explained by Ireland’s leading ISO consultancy firm. We're all about you! Transitioning to the new version of ISO 9001 & ISO 14001? Download our FREE Transition Guides today. ISO 9001 sets out the principles for a quality management system. It can be used by any size/type of organisation. Over 1 million organisations are certifed to ISO 9001 worldwide. ISO 14001 is an international standard that details the requirements for an environmental management system. ISO 45001 is the new international standard for occupational health and safety (OHS) management systems and will replace the existing OHSAS 18001:2007 standard. 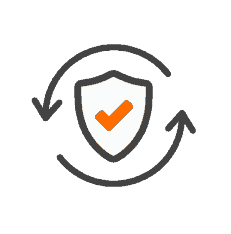 ISO 27001 is an international standard for information security management. 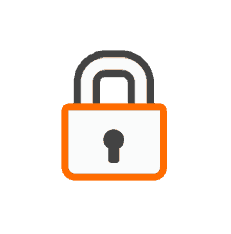 An ISMS enables an organisation to manage the security of sensitive company information. ISO 50001 is suitable for all businesses regardless of size/industry but is particularly effective if the business operates in an energy intensive industry or one that face (GHG) emissions regulation. The ISO 22000 Food Safety Management Standard is relevant to any business along the food chain such as animal feed producers, food producers, transport & storage operators. ISO 13485 sets out the requirements for a QMS where an organisation is required to show it can provide medical devices and related services that consistently meet customer and regulatory requirements. ISO 20121 is a voluntary international standard for sustainable event management, it is suitable for all sizes and types of events. Professional outsourcing services for QEHS Management & Auditing on a part time basis to manage and audit your ISO certified management system. We guarantee ISO certification on the first attempt. How can we be so confident? Well, we are great at what we do and have the track record to show it. We have worked with many companies of different types and sizes on their management systems, so we know what is involved and are able to give you a detailed quotation before any work commences so there are no surprises. We fit in to your day to day work practices to get you ISO certified. We do 80% of everything for you – you just continue with your normal day to day work thus the process is relatively pain free for you! We found the level of competency from the team to be of a very high level compared with other consultants. CG Business Consulting worked to get a very thorough understanding of our business, this made life easier for us and meant they could give us some very helpful advice. ‘We recommend working with CG Business Consulting for ISO certification. Caroline was a true professional, working with each department and guiding us through the entire process from start to finish to ensure that the changes to our internal team didn't mean any unwelcome consequences in relation to meeting our audit requirements. The teams expert knowledge of ISO 14001 implementation was a clear advantage to us, and ensured we achieved what we needed to in a very short space of time. I would highly recommend Caroline and Lyndsey to anyone going through the ISO process, they certainly helped make our journey easier. ISO 9001 gives assurance to work partners that you work in a structured and controlled manner. OHSAS 18001 shows a care for Health & Safety. ISO 14001 cares for the environment. It’s no surprise that Food Management IS0 22000 is showing a 14% growth at the moment. We have experience in the food and drinks sector and a 100% success rate in certification. 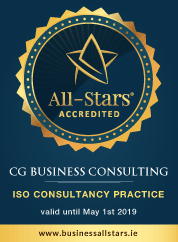 CG Business Consulting has helped accountants, solicitors, communication companies and many more professional service companies join 1 Million companies around the globe that are ISO 9001 certified. CG Business Consulting has worked with a number of engineering firms. When ISO certified, over 75% of companies report improved levels of customer satisfaction and loyalty. Increased productivity is vital in manufacturing to achieve growth. ISO 9001 unlocks potential and brings best practice, ISO 14001 shows care for environment. Any industry sector will benefit from ISO 9001 certification. We also help companies achieve ISO 14001, ISO 45001. 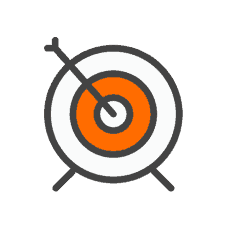 We can implement an ISO management system for any company. 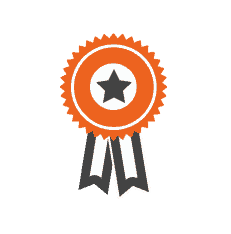 We are driven and passionate about helping businesses achieve ISO Certification. We offer our clients a faster, simpler, cost-effective, logical and innovative approach in implementing Management Systems that reflects their business practices, conforms to the stringent requirements of ISO International standards, improves processes and efficiencies, increases productivity and reduces risk.